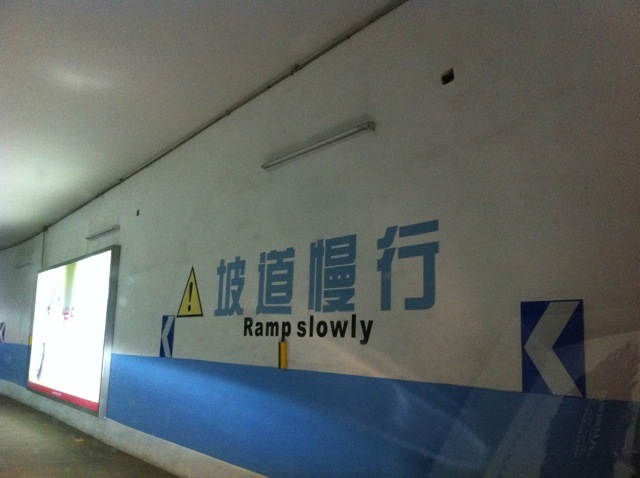 To do Chinglish right in a car park, not only do you have to roll up the ramp slowly, but you also have to — ramp slowly. 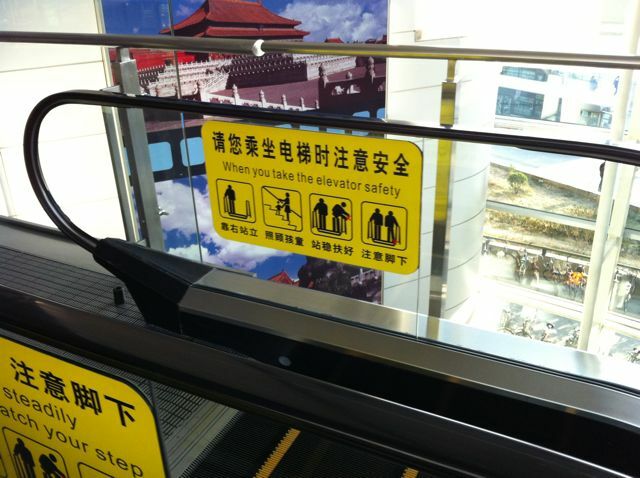 Either that, or it probably means that it is a slow ramp. Aaargh… Too bad if you’re in a rush. You’re being told to ramp slowly! Seriously… I wonder what happens if I push that red button. I’m… a little intrigued. 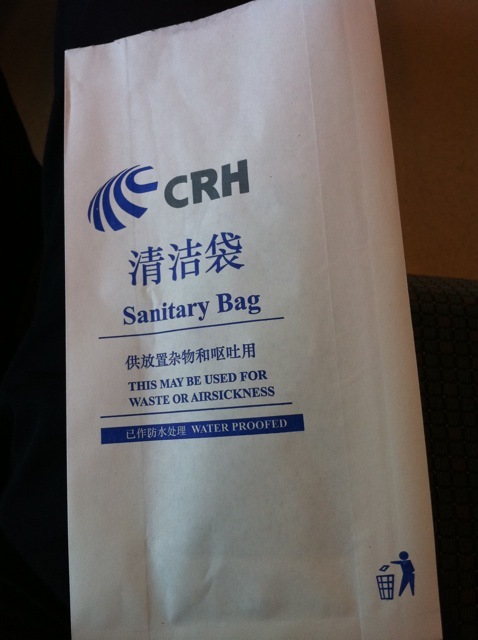 If you do Chinese, you’d know that “贵重物品” would basically mean “valuables”, but these guys on the train overdid it by regarding your “valuables” as your “treasures”. I have only two big treasures in my life: my family and my friends. As for the “treasures” that this fair bit of Chinglish might be thinking of — your iPhone, for example — it’s a “treasure”, but the most you might do if you lose it is to replace it. Not true with friends or family, though! 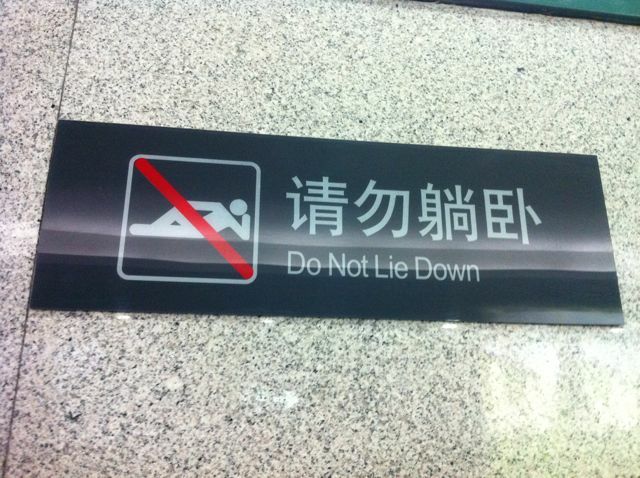 Best thing to do to this Chinglish is to replace it. 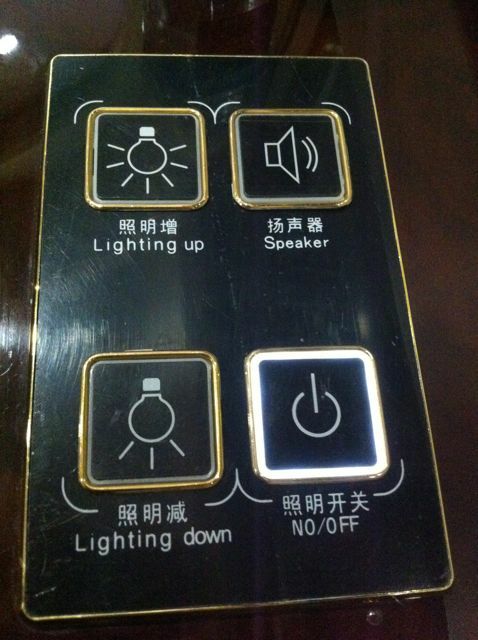 Now do I push a button to do that? 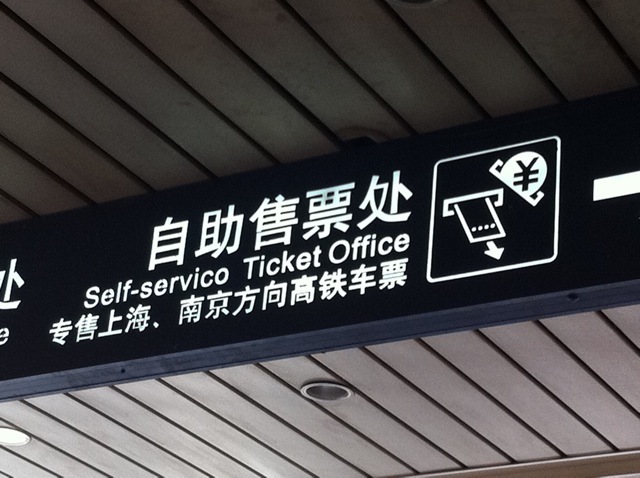 January 15, and Beijing on September prefix bus passengers a “card” fare introduced 4% discount for students on a student card a 2% discount travel, and now, by BUS members of the public and the suburbs of Beijing City members of the public can enjoy the same preferential treatment to the Government. It is learnt that the immediate effect, Beijing company will be added to P Plus 220 bus routes in September prefix operators can be transported more than 45 million passengers. The second sentence is odder still. “add to P Plus 220 bus routes” — sounds like “added to 220 more bus routes”. The last one, “prefix operators can be transported more than 45 million passengers”, looks more like a telco ad.